Natural Health and Beauty magazine readers voted Green Peoples Sun Lotions the best. If you're going to trust a range of product to protect your skin from the sun, then this is the range. 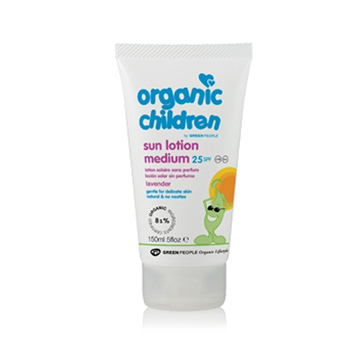 Green Peoples Children Sun Lotion gives you Natural protection from UVA and UVB radiation as well as having a soothing Lavender aroma, suitable for sensitive skins. The hazards of unprotected sun exposure are now widely known. Our range of sun lotions protect the skin from UVA & UVB rays. 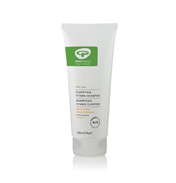 They provide natural low, medium or high protection levels which help you tan more naturally. 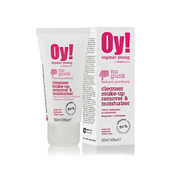 The range also includes a highly effective after-sun lotion and a natural self tan lotion. Apply half an hour before exposure to the sun. Re-apply frequently. Always re-apply after swimming or excessive perspiration.